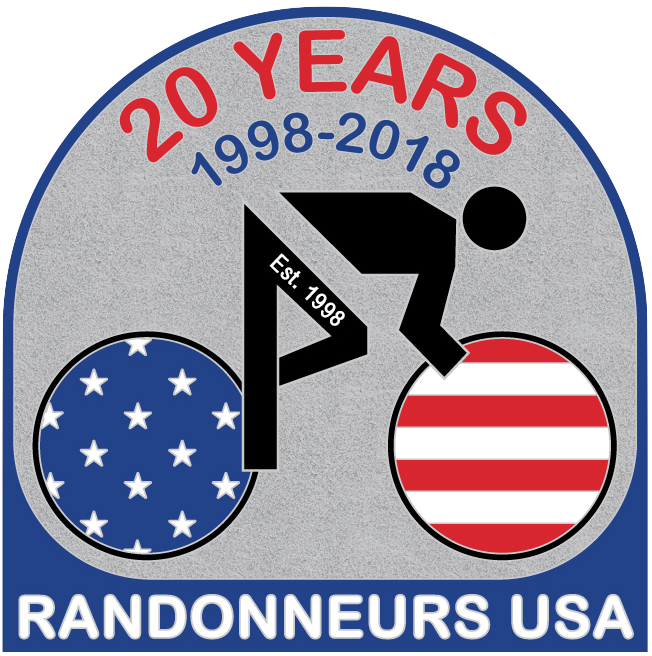 Seattle International Randonneurs (SIR) superstition holds that the better the weather on the pre-ride, the worse the weather on the actual ride—and vice versa. 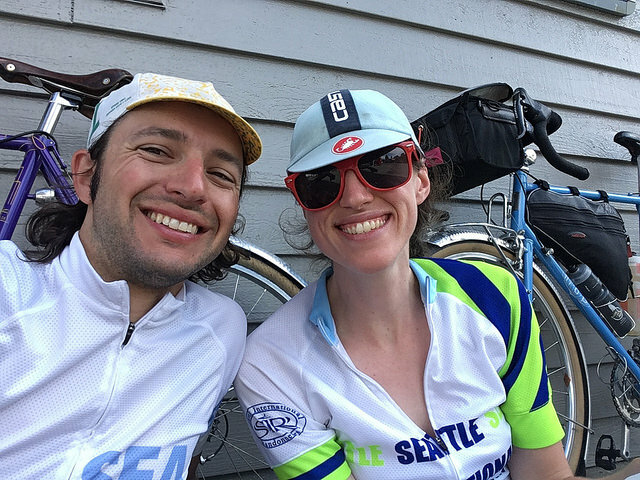 Fortunately for those superstitious riders among us, we’ve devised a new tactic: We sent the organizers off to California to ride in poor weather while a group of volunteers stayed behind to suffer in sunny Seattle. That should balance things out. The Spring Populaire conveniently begins from the Woodland Park soccer fields just south of Green Lake. 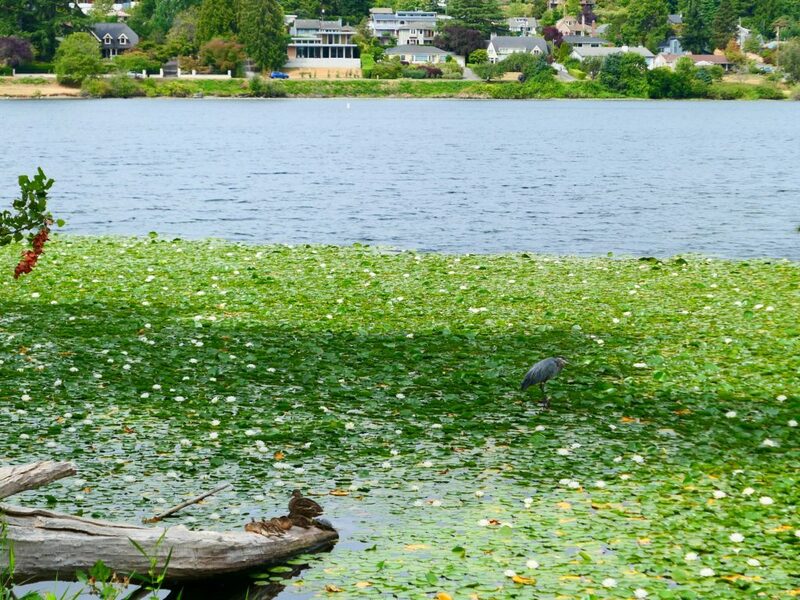 This is close to the Greenlake Park and Ride and several bus lines, so should be fairly easy to get to. 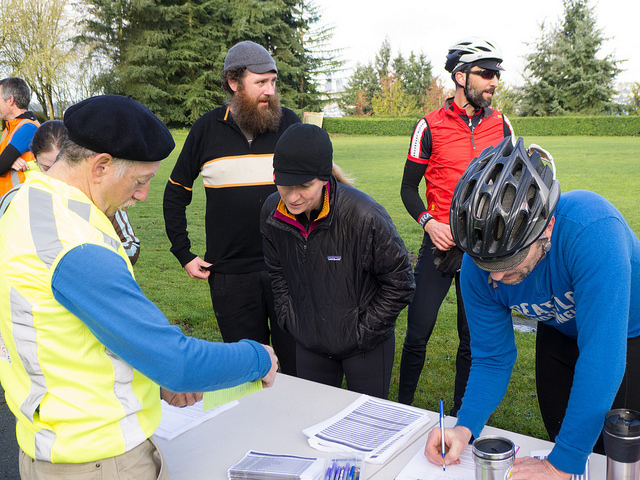 While the ride starts at a civilized 9 AM, please be sure to arrive early to get signed in. 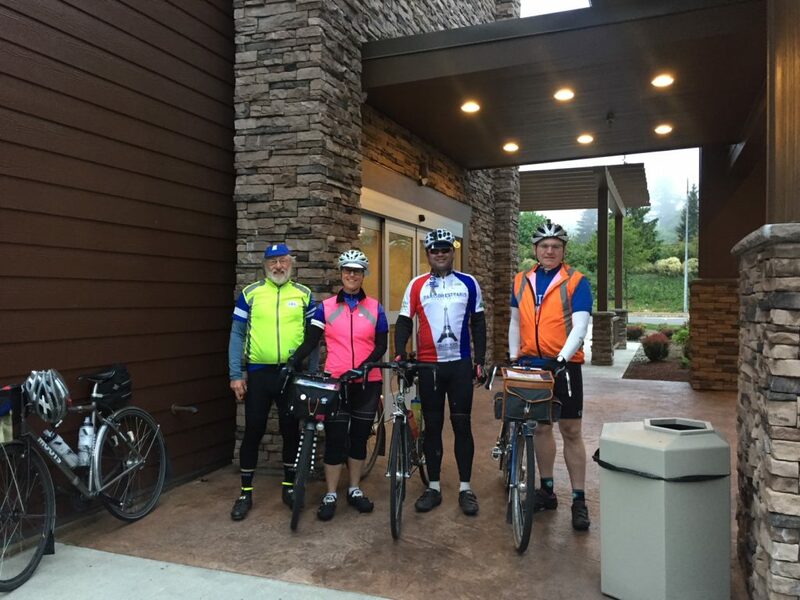 If this is your first ride with SIR, we recommend that you show up at 8:30 AM; we’ll help get you oriented and set to go with your cue sheet and control card. What’s a control card, you ask. 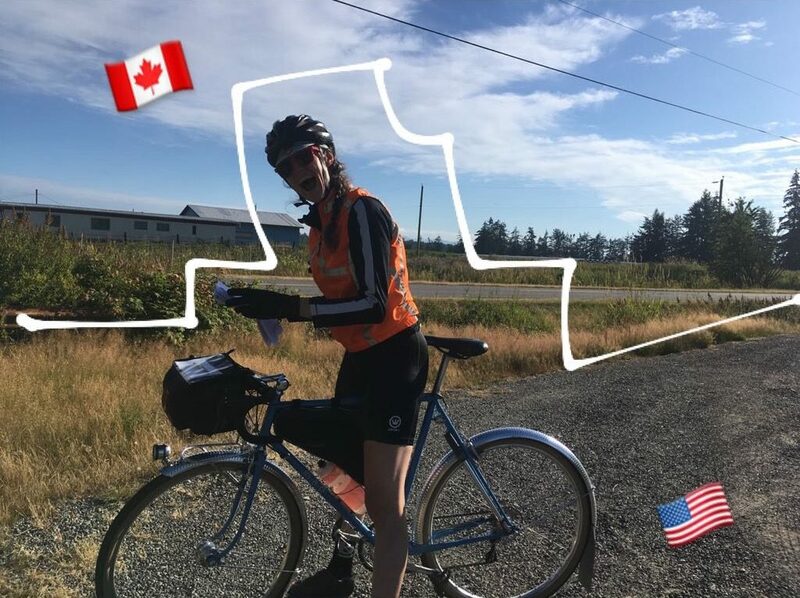 It’s your passport, or manifest, for the ride and you’ll turn it in at the finish to serve as your proof of passage through the ride’s checkpoints. 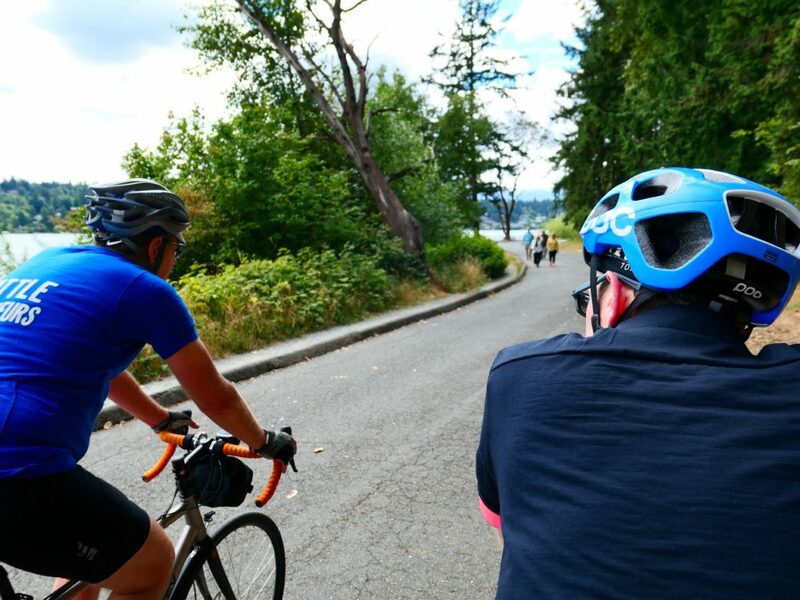 From Woodland Park, you’ll roll out at a neutral pace, turning left from the parking lot to depart north on East Greenlake Way N. In just 3 kilometers, you get your first taste of a randonneuring control (a checkpoint) at Cowen Park. This is an info control, so check your card for the question and your surroundings for the answer. If SIR volunteers are present (hint, hint), they can sign your card in lieu of the answer. 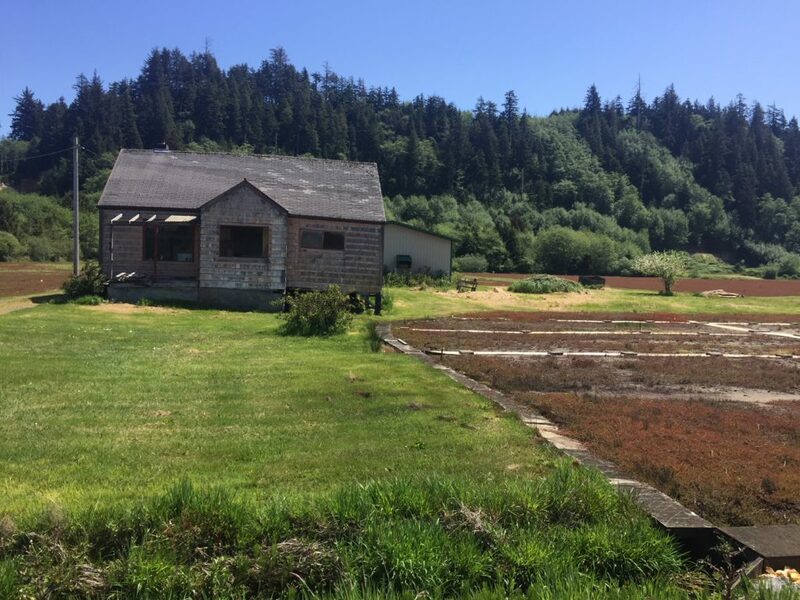 The route then goes through Cowen and Ravenna parks along a dirt and gravel path. 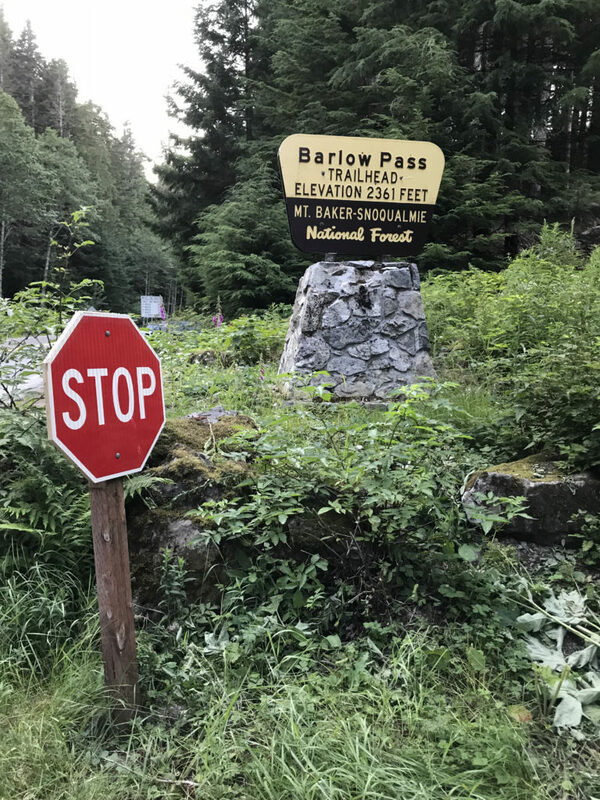 Keep speed low and be courteous to pedestrian and canine visitors to the park—randonneuring isn’t a race, so there’s no need to zip through this section. 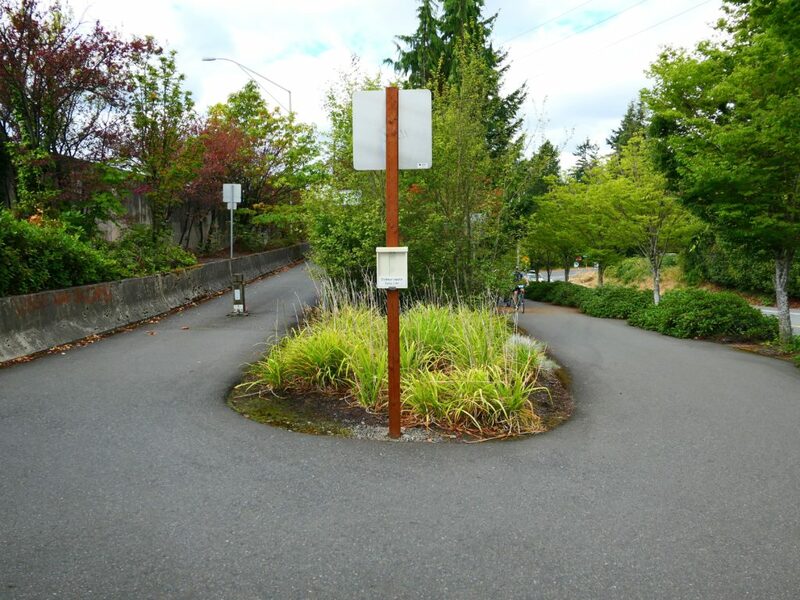 At the park’s southeasterly end, you’ll leave the path and get back on the roads briefly to connect with the Burke Gilman Trail, which will take you to Montlake Bridge and across the cut. 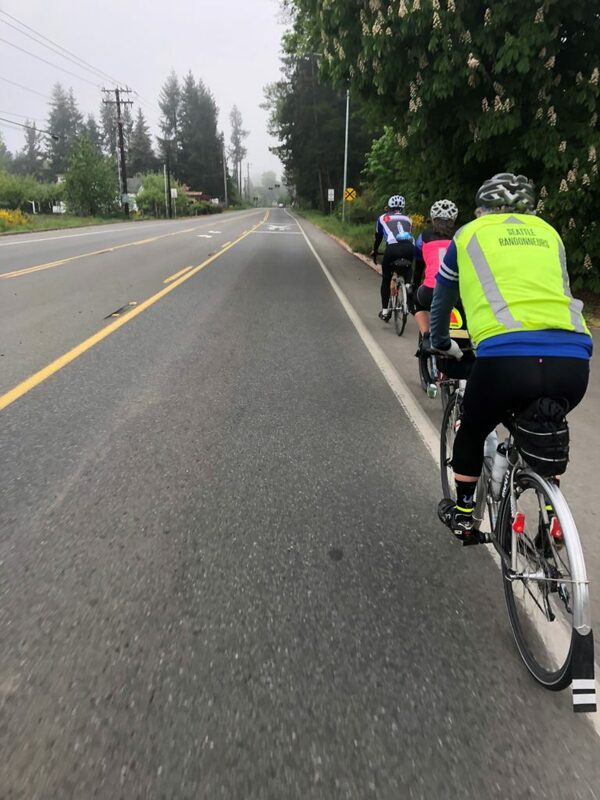 Counterintuitively, you’ll ride a couple blocks on a wide sidewalk to make the connection to the 520 bike path and into Madison Valley (if you find yourself crossing the 520 bridge over Lake Washington, you’ve gone the wrong way). 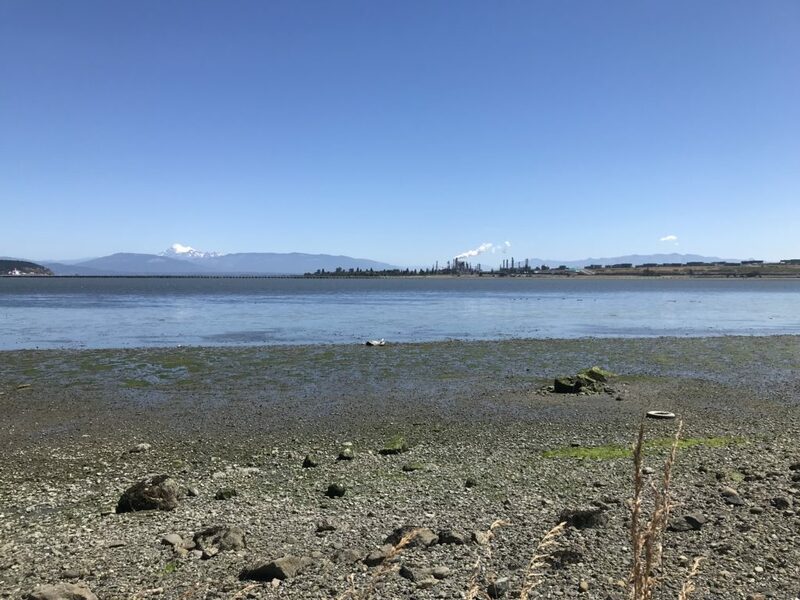 This zig-zagging route to Lake Washington will be familiar to many locals and there are way-finding signs for bikes, but your cue sheet or GPS unit is a helpful back-up if you don’t know the dance steps. Zigs and zags now past, you’ll ride south along the edge of Lake Washington to Leschi and the I90 bridge. If our weather gambit paid off, you’ll get lovely views of downtown Bellevue and Mt Rainier in the distance. If it didn’t, put on your rain jackets and get low for the ride over the lake and across Mercer Island. 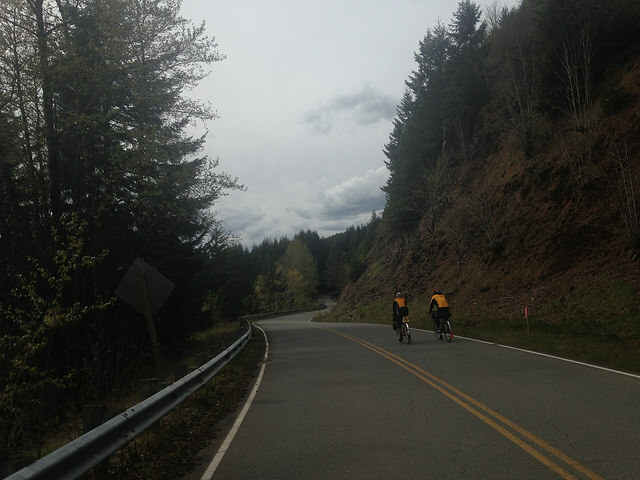 In Factoria, you’ll get to warm up with some nice climbing and then descend SE Newport Way. The shoulder is likely to be narrower than usual as it’s about halfway filled with sand and gravel, courtesy of snowpocalypse. There’s also a newish traffic circle toward the bottom (author’s note: I should have recorded its exact location, but it’s about kilometer 36), but if you continue along straight through it and stay on Newport, you’ll do just fine. 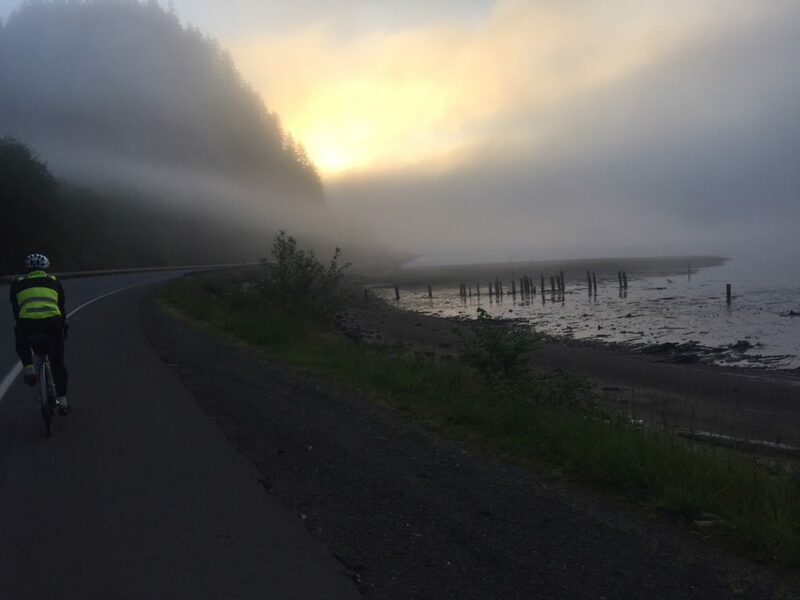 The narrow shoulder conditions continue through Issaquah and on to Squak Valley Park, where you’ll pull off the road for another info control (answer the question on your card). This park does have a bathroom, but if you need more than a toilet at this point in the ride (~42km), just pedal along a bit farther to the Tiger Mountain Country Store about 4 km down the road. Well, up the road, as you’ll climb about 50 meters on your way there. A couple more roads and you’ll reach the staffed control at the Cedar River Trail parking lot. Have your card ready for SIR volunteers to sign or stamp to indicate your passage. 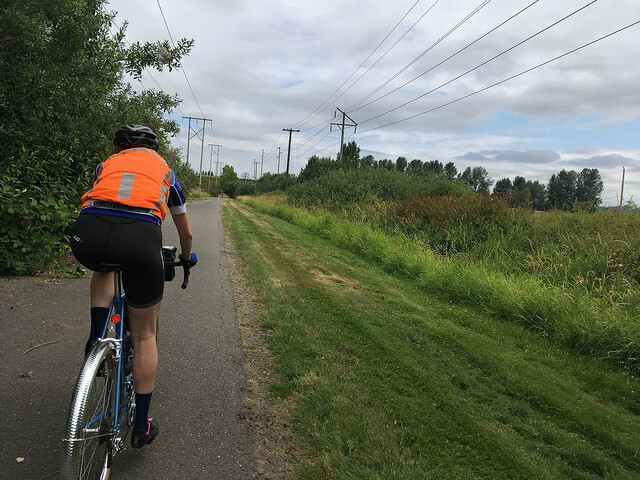 Then you can get back to it, riding the trail toward Renton. 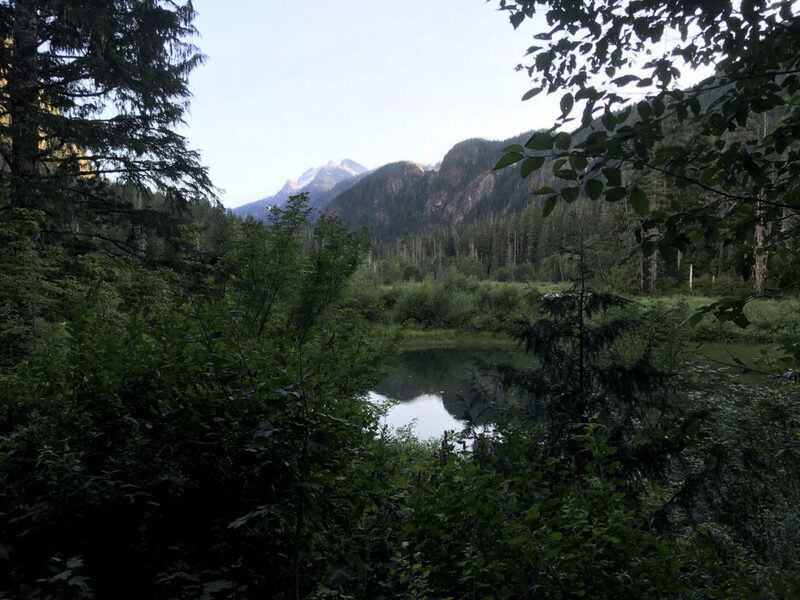 There isn’t really a ton to say about the trail, but three notes come to mind: First, take care at the road crossings as traffic can be fast and drivers may not be looking for you. Second, though it goes without saying, be courteous with other trail users and give notice and space when passing. 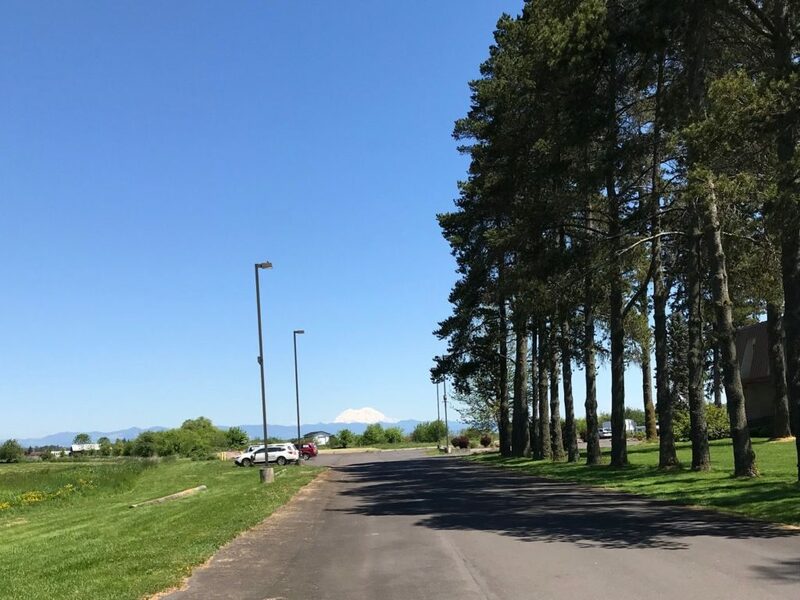 Third, from Ron Regis Park (about kilometer 67) to the end of the trail, there’s a posted speed limit of 10 miles per hour. 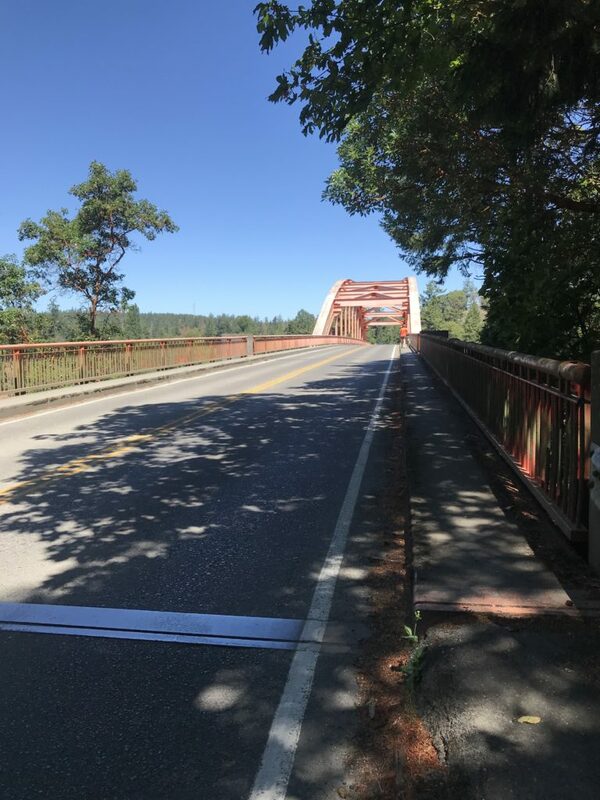 It’s tempting to ride faster, particularly if you’re getting behind on time, but there is a $101 fine for speeding on your bike through this section. Better to keep it mellow and make up time elsewhere. Depending on the weather, you’ll want to be attentive to ice/frost in this area, too. 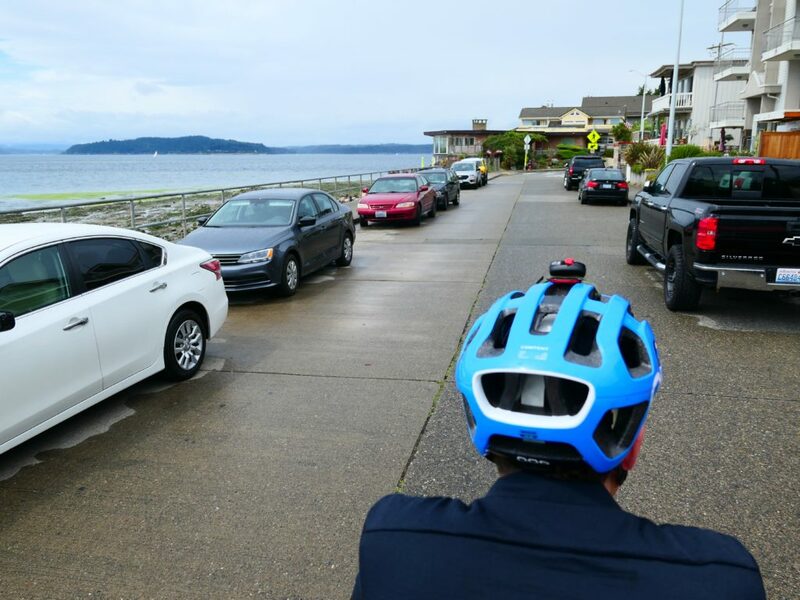 Several turns through Renton and you’ll be back to Lake Washington, where you can put in a bit of speed stay ahead of the ride’s 3:40 PM cut-off time. Though if you get the same headwind we had on the pre-ride, that speed will be hard-earned. 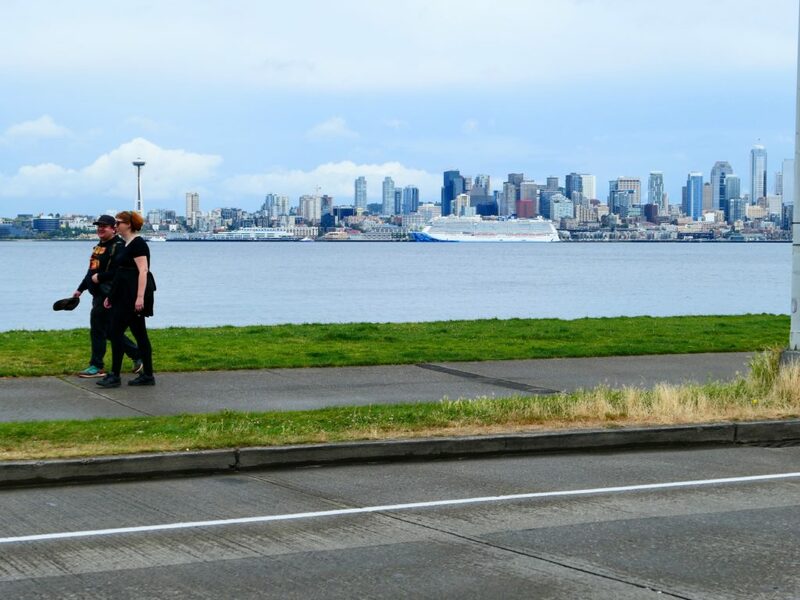 Nevertheless, take a moment to appreciate Lake Washington Boulevard, designed by the Olmsted Brothers and constructed beginning in 1904. 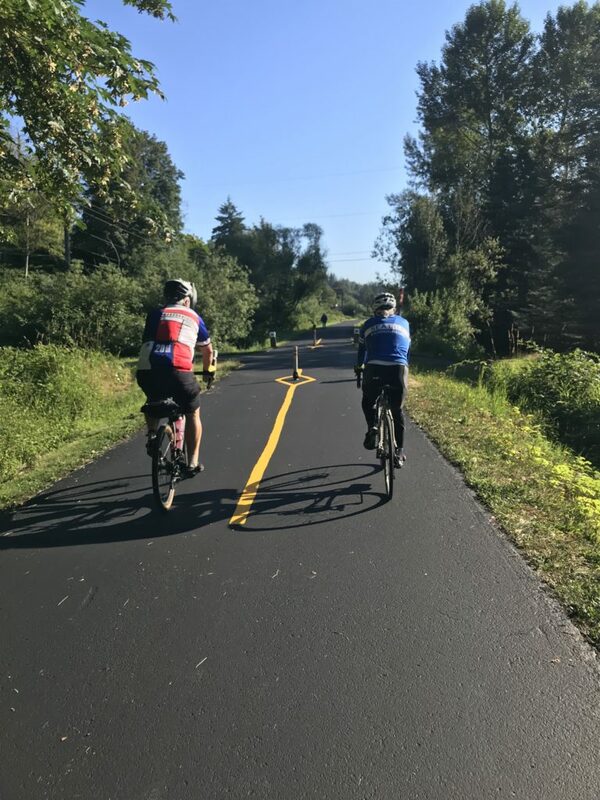 With its many beautiful turns, hills, and views, it’s easy to see how this road made the National Register of Historic Places in 2017 and has been popular with cyclists for the past century. And if that’s not scenic enough for you, the route soon detours into the Washington Park Arboretum. 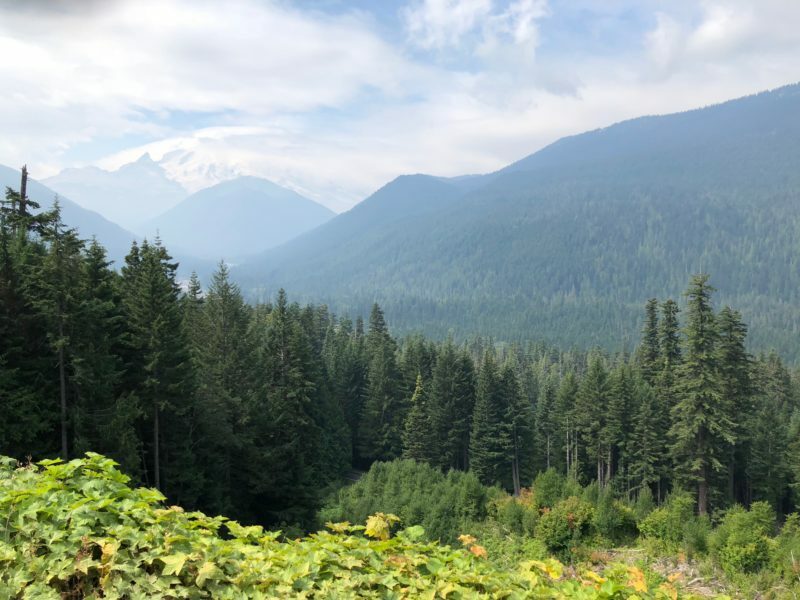 Ride slowly and admire the trees—you’ll be sharing the path with walkers who are likely not expecting a large group of cyclists to join them on their dendrological stroll. Then it’s back across the Montlake Bridge and onto the Burke, though you’ll go west rather than returning the way you came. In Fremont, you’ll leave the trail and start climbing: First on Stone Way, then on Fremont Avenue. 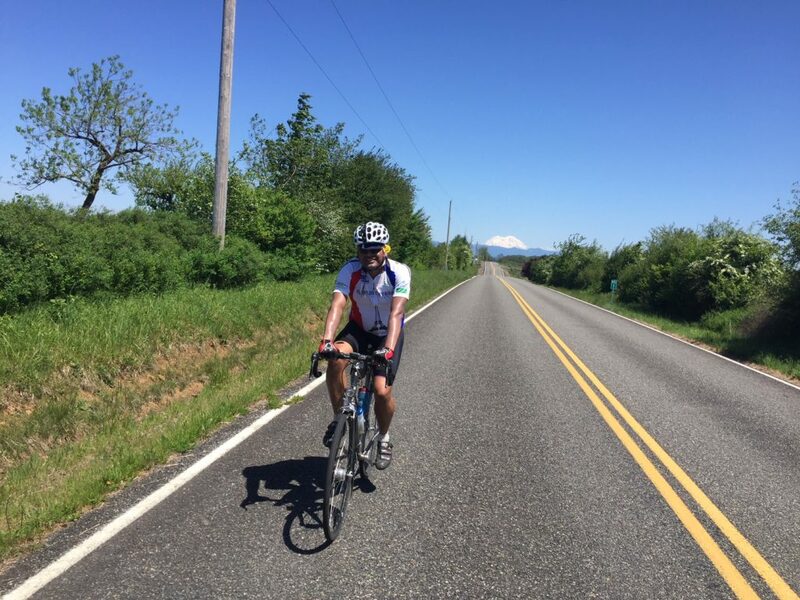 The climb up to Phinney Ridge may feel steep and long, but it’s only 90 meters gain over 3 kilometers. OK, so maybe its steep. But there are stoplights along the way…. Ok, so maybe I’m not helping. But at the finish there’s beer, pizza, and good company, so it’s worth that last effort. Remember to turn your card in to the volunteers at the end, thank them for their work, and give yourself a high-five. You did it! 2018 Spring 400: Ephrata, WA. May 5. 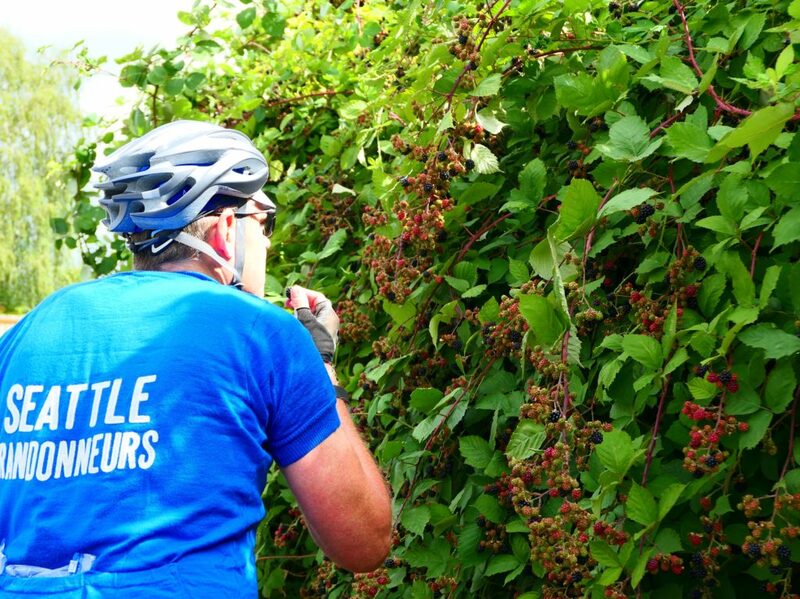 Well, this should be a challenging ride for all who signed up! Unfortunately, due to getting pneumonia and being off the bike for some time, I had to pre-drive the course. So, I apologize that I’m not able to answer questions such as “What’s the chip seal like?” But my observations from that day indicate the roads are in good shape. 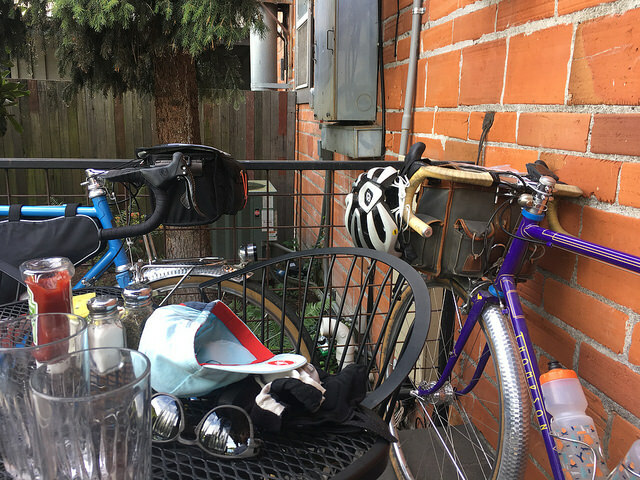 Typical of Eastern Washington, shoulder space is limited, but traffic is low-volume and so riding is a pleasurable experience. Ok, now to the ride. 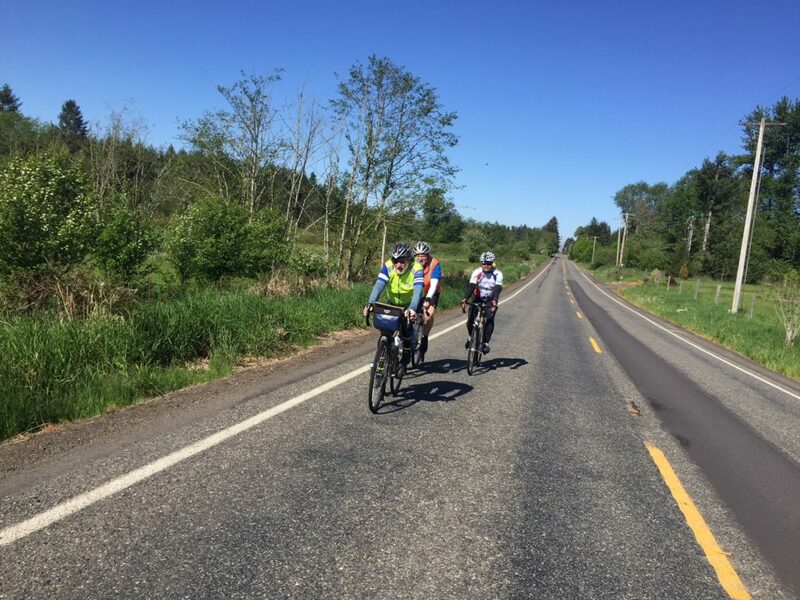 You will leave the Ephrata Best Western at 6 a.m. on Saturday, May 5, and will head north along rolling roads toward Moses Coulee. Then you will then turn left onto SR-2 (wide shoulder) and make your way to an SIR manned control at Farmer (52km). 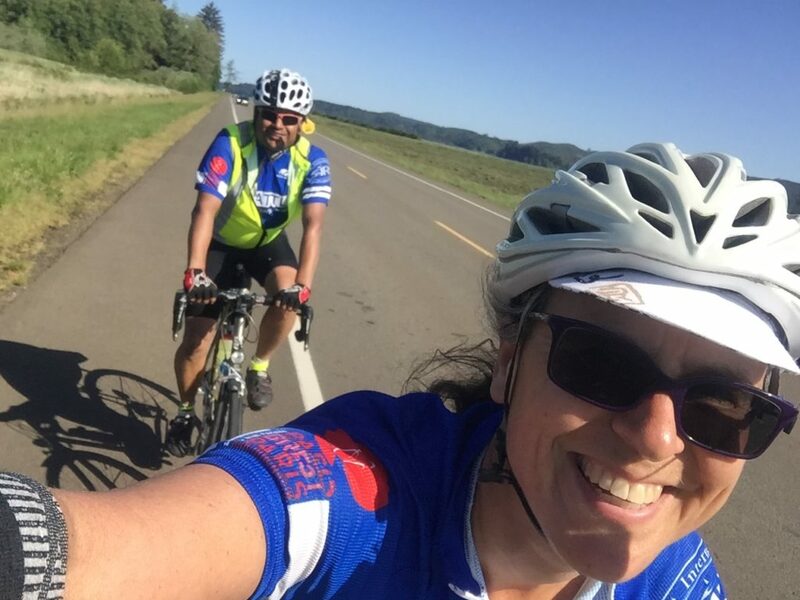 Once you’ve topped off your bottles and snacks, you will continue north towards the fast McNeil Canyon descent and back to the Columbia River for some stunning views of the area. 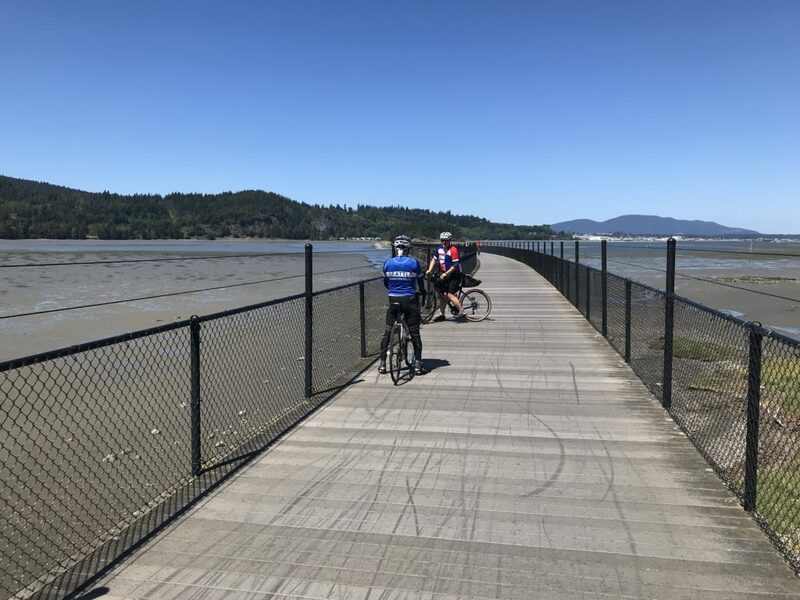 There is a water stop available at Beebee Bridge Park before you cross the Columbia River and continue on your journey north toward control number three in Pateros at the 124.5 km mark. This is a great opportunity to stretch, eat some food, and hydrate before the next segment of the ride. 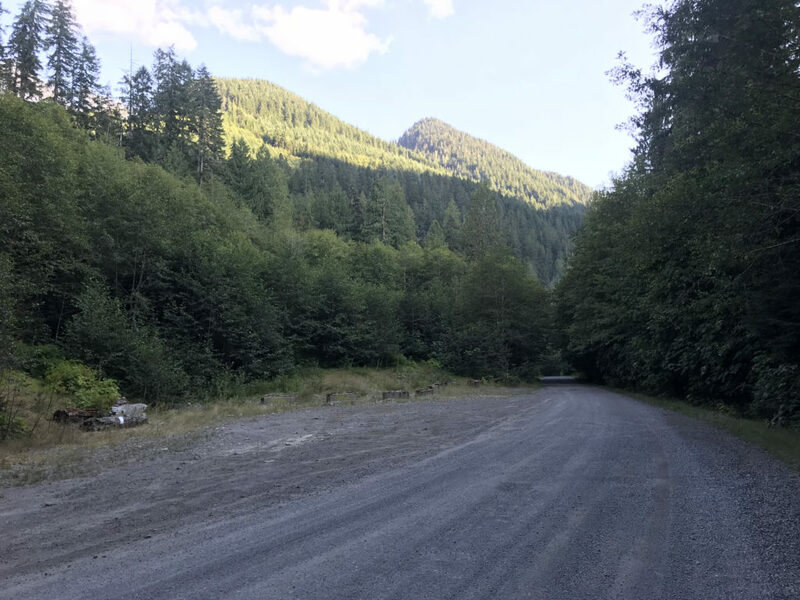 After leaving Pateros, you will wind your way up WA-153 with a little side track along Gold Creek Loop Rd (152km) before heading towards the big climb of the day: Loup Loup Pass (4,020 ft). 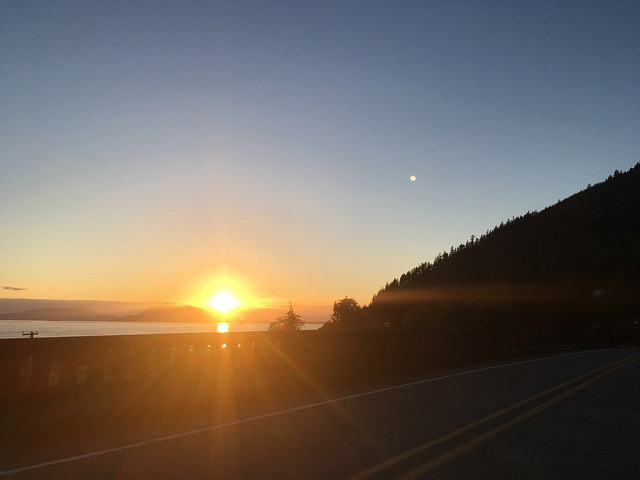 But, before that, you will have an opportunity to refuel once again at the Carlton Store (162km) if you can make it before they close at 6pm; otherwise, your next chance for fuel will be Okanogan (220km). 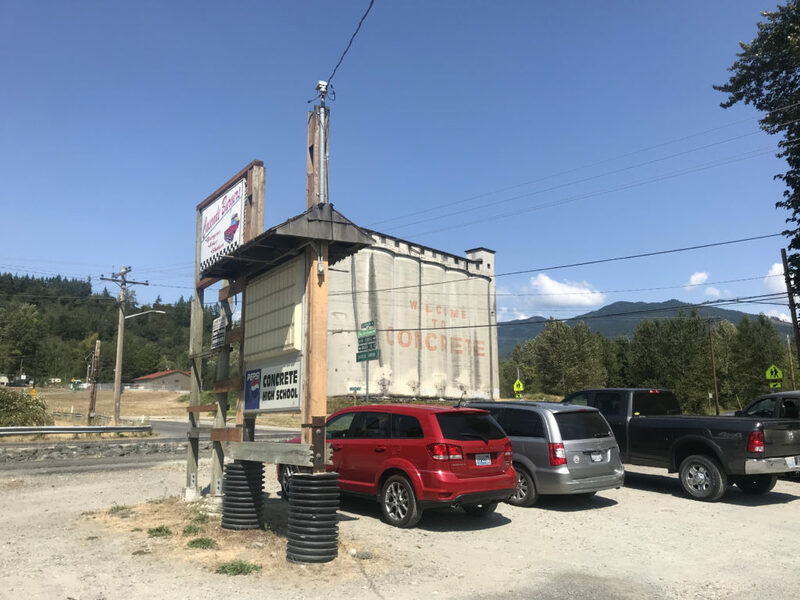 After passing through Carlton, you will be presented with an info control (173km), climb up Loup Loup, and descend into Okanogan where there are 24-hour services at Chevron. 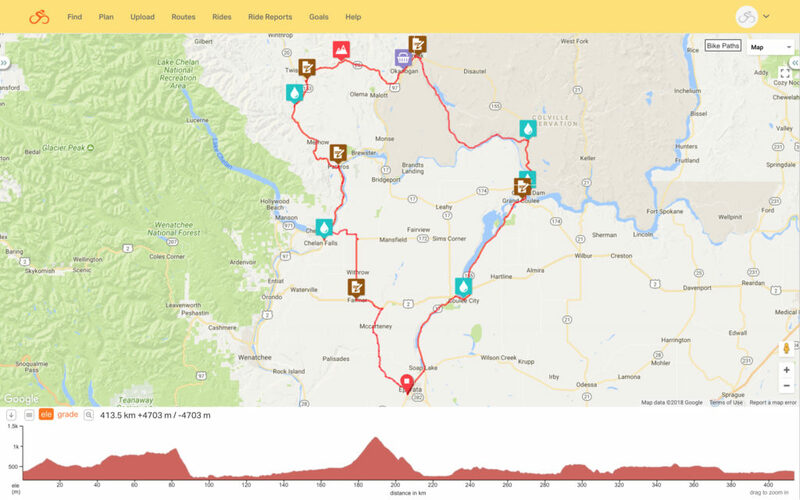 If you don’t want to stop there, continue on down the road to Omak for control number four (228km) at the 24-hour Conoco. 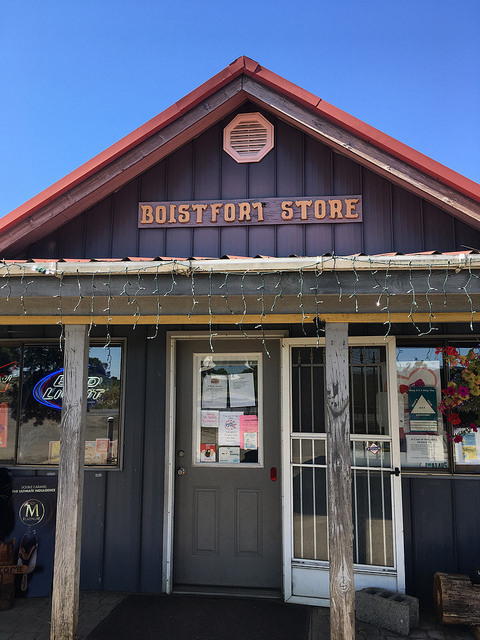 Once you depart from Omak, this will be the longest stretch without services (unless you can make it to the Colville Trading Post at 294 km by 8pm). The next opportunity to refuel is at the Coulee Dam Casino (316km) which is open 24 hours, or control number five at Coulee Gas in Grand Coulee (320km). Continuing south into Coulee City there is the Coulee City Community Park (365km) which has bathrooms and water and is open 24 hours a day. This is the last opportunity to top off those bottles before heading back to Ephrata along WA-17 via Dry Falls and Soap Lake. Control #3: Pateros 124 Until 11 p.m.
Water: Carlton Store 162 Until 6 p.m.
Water: Okanogan Chevron 220 Open 24 hrs. Water: Colville Trading Post 294 Until 8 p.m.
Water: Coulee Dam Casino 316 Open 24 hrs. Control #5: Grand Coulee Gas 320 Open 24 hrs. Water: Coulee City Community Park 366 Open 24 hrs. This ride also has a few very fast descents, McNeil Canyon and Loup Loup in particular. Exercise caution when descending these parts of the course. There might be debris or sand build-up from the winter’s de-icing activities on the roadway. 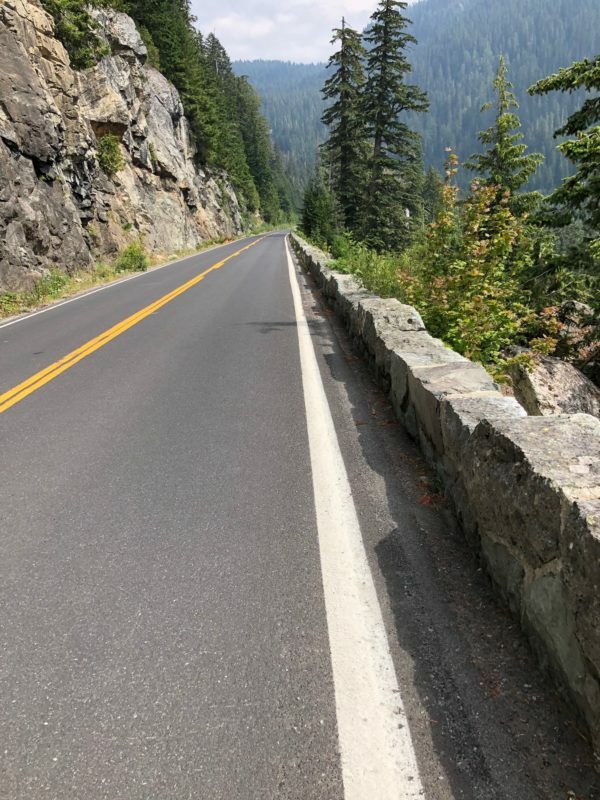 When I was driving along WA-17 through Dry Falls, they were repaving the road. Since it’s the weekend, they may not be repaving due to increased traffic along the section of the course. In any case, be attentive through this section. RBA’s Note: With long distances between services, I suggest bringing three water bottles and plenty of food. 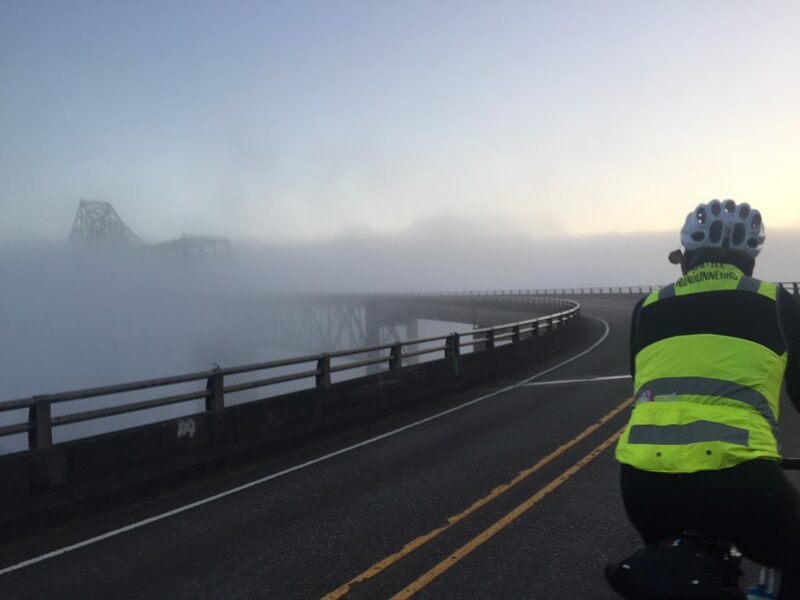 Keep in mind that temperatures can vary widely in Eastern Washington; pack layers for hot and cold riding. 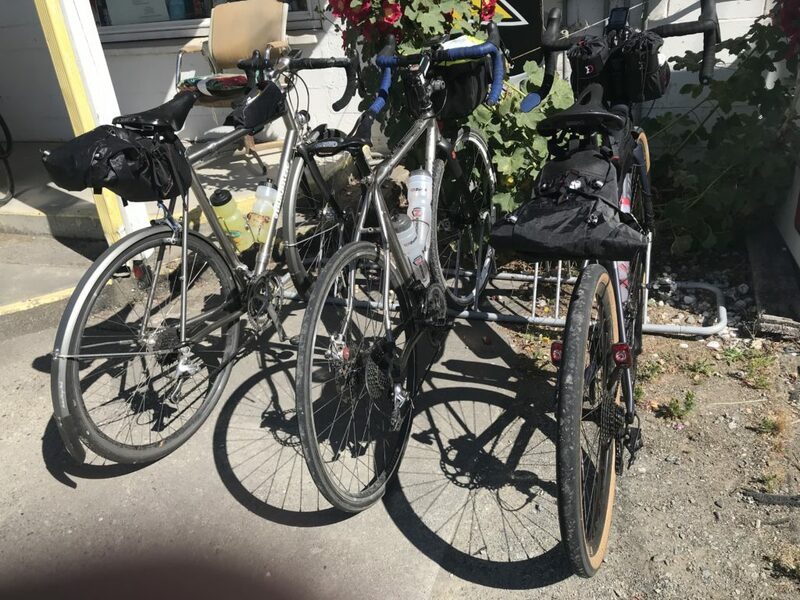 We won’t be climbing Disautel Pass this year, but otherwise these ride reports may be of interes.